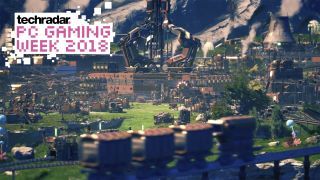 Satisfactory is the latest building adventure game from Coffee Stain Studios and from the looks of its first trailer, it’s almost like a first-person SimCity game. As with most games in the genre like Minecraft and Ark, you’ll start off collecting basic resources, but from there you can build enormous factory machines. From there players will just build-and-build to develop factories All about building huge self-sustaining factories that span for miles and miles. Co-op will also be a big piece of the game as you can employ your friends to help build out your sprawling industries. On the PC Gaming Show stage, Coffee Stain Studios announced the first closed alpha in the coming months and users will be able to sign up for updates on the Satisfactory website.